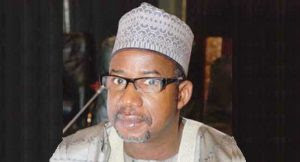 Mr. Mohammed was remanded in the Kuje Maximum Prison after he was arraigned by the Economic and Financial Crimes Commission (EFCC) on six counts bordering on abuse of office while he served as Minister of the FCT. The counts of his charge include: that in 2014, he accepted the gratification of a house worth 550 million Naira in the Asokoro district of Abuja from Aso Savings and Loans Bank Plc as a reward for performing official duties. Other counts are that on October 24, 2016, he failed to make full disclosure of a property in Jabi Abuja and falsely declared that a property belonging to him in Agwan Sarki Kaduna was undeveloped when in reality it was a fully built house. He was also accused of declaring as his asset a property in Abuja belonging to another person. Furthermore, he was accused of making a false statement to the EFCC that he acquired a house in Asokoro Abuja through a mortgage facility from Aso Saving & Loan Bank Plc. Count six was that while he was a minister of the FCT and Chairman of the Board of Directors of Aso Savings & Loans Plc, that in 2014 he used his office to confer corrupt and undue advantage on associates by allocating them duplexes worth 314 million Naira. The Defence counsel applied for bail on liberal grounds and self-recognizance, arguing that he had previously been granted administrative bail by the EFCC. The prosecution, however opposed the bail and asked for stringent grounds to be applied. Justice Talba will however give his ruling on the bail application on Friday May 12 and thereby remanded the former FCT minister in Kuje prison pending the ruling.